PHP-mbstring is used by a ton of popular applications, including WordPress. Installing it on RHEL 8 isn't as straightforward is it probably should be, but it's definitely not difficult. You can install it directly from the Remi repository, which provides tons of other great PHP packages. Install PHP mbstring on RHEL 8. While mbstring is available in the main RHEL repositories as php-mbstring the most flexible way to get mbstring on RHEL 8 that affords you the most choice, is to use the Remi repo. If you aren't already familiar, Remi has been around for a long time, providing up-to-date PHP packages for RHEL and CentOS. As such, it's earned a solid reputation and the trust of the community. Add Remi Repo on RHEL 8. The repository is provided in the form of a convenient RPM. You can install it directly from the Remi website with DNF. Go ahead and install it. Confirm the install when you're asked. 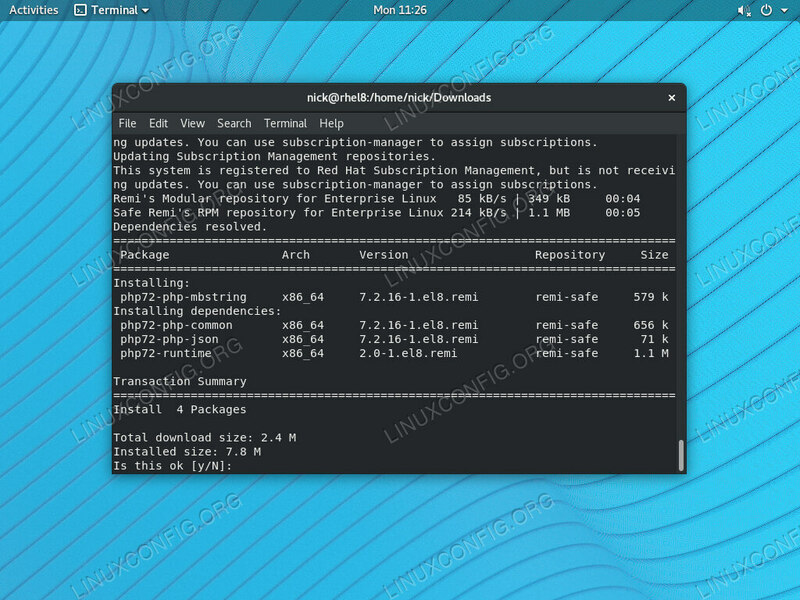 Install mbstring on RHEL 8. Now that you have the Remi repository, you can go ahead and install PHP-mbstring. You do have one choice to make; which version of PHP do you want? Remi has all current versions of PHP. You can pick any one of them. This guide is going to use PHP 7.2, but substitute whichever number you'd prefer. Agree to install the additional PHP dependencies, and DNF will do the rest. With Remi installed, you have access to an entire library of up-to-date PHP packages that you can use to power any number of applications as well. There you have it! You're ready to get started hosting PHP applications with PHP-mbstring on RHEL 8. Remi will stay updated on your system and provide updates as they come.